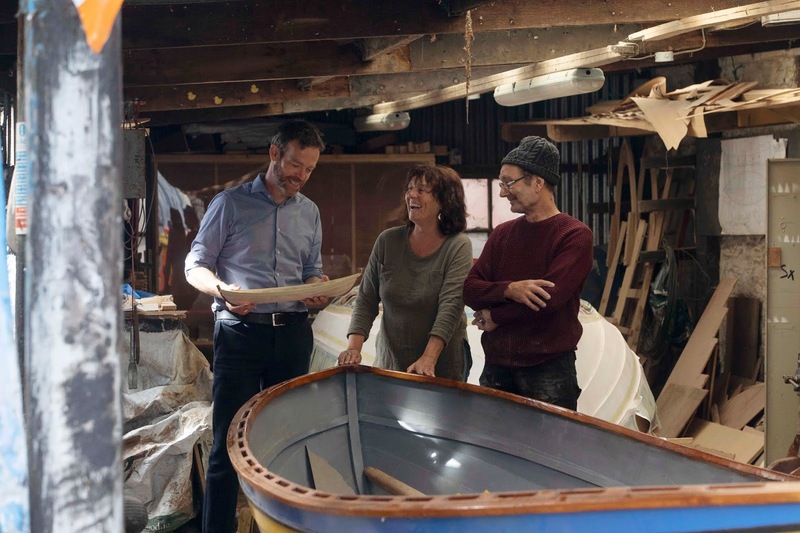 The Market Lane Group of restaurants has made a long-term commitment to support a youth training programme with Meitheal Mara; the community-based charity boatyard which provides boatbuilding and water skills training on the River Lee. This commitment follows an initial contribution towards building an St Ayles Skiff, which was to mark the Group’s 10th Anniversary. This skiff, which has been constructed by Bill Scobie and Peter Hull, under the guidance of Seamus O’Brien, Workshop Manager and Boat Builder, will be used as a training boat for Meitheal Mara’s on-the-water programmes. It will also be part of the Bádoireacht youth rowing programme which trains rowers for the impressive Bantry longboat, the Fionnbarra, which is moored at Lapp’s Quay.